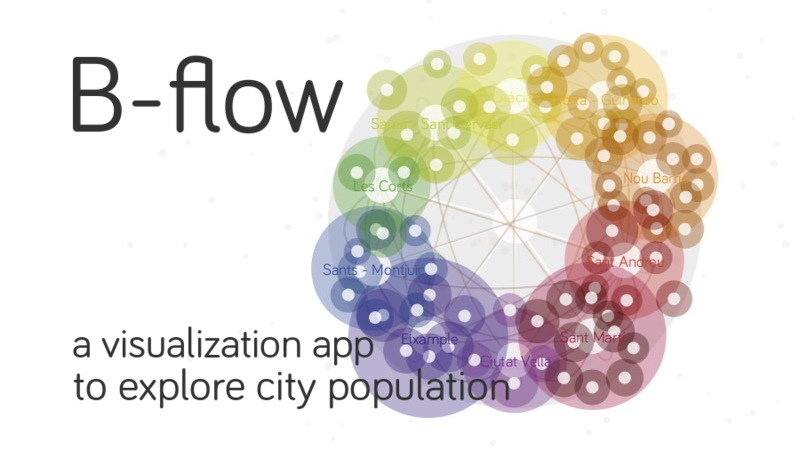 B-FLOW is an app to visually explore open data about your city. 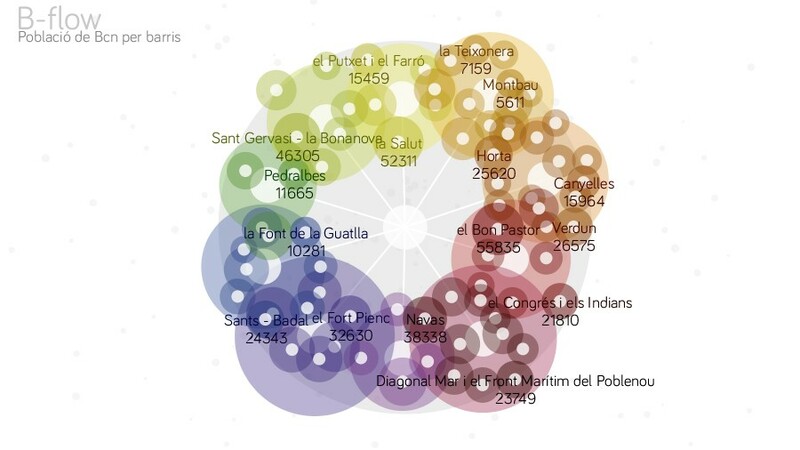 A colorfull visualization of population and household statistics and demographic open data of Barcelona city. The app localizes the user using GPS technology and includes her in the visualization and conext. 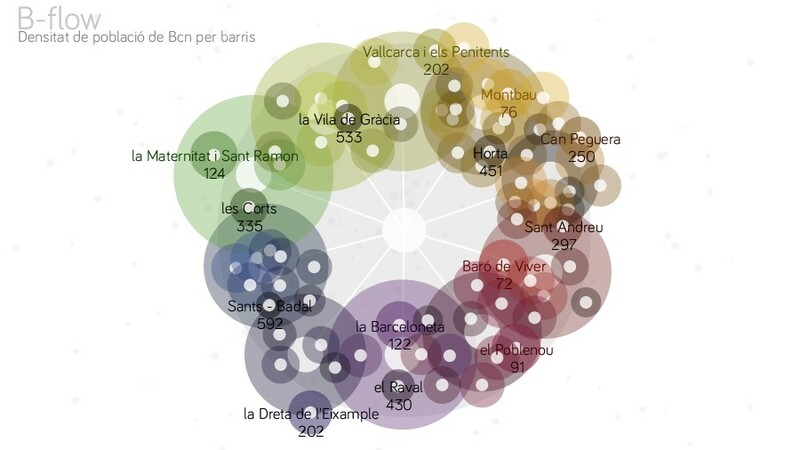 Neighborhoods population, population density and internal migration among the city can be explored. 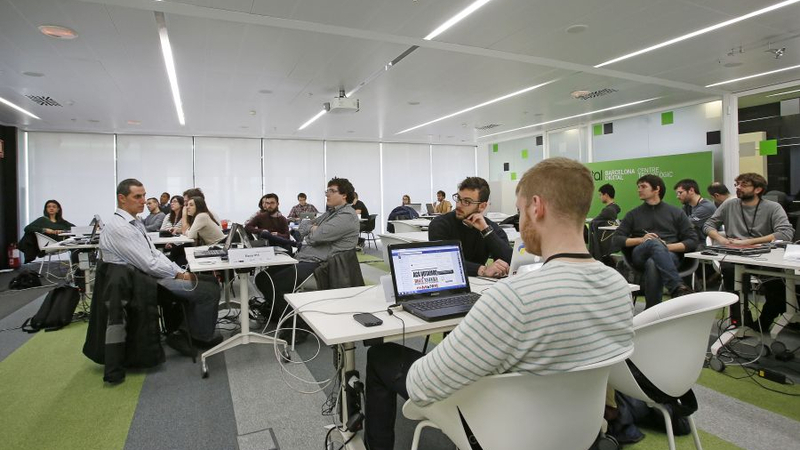 The app was conceived and developed for the Apps4Transparency hackaton. Project developed with: Manuel Santolaria. Tasks: interaction design, data study and visualization design, app development.